New Barbour Liddesdale jacket from the My-Wardrobe sale. 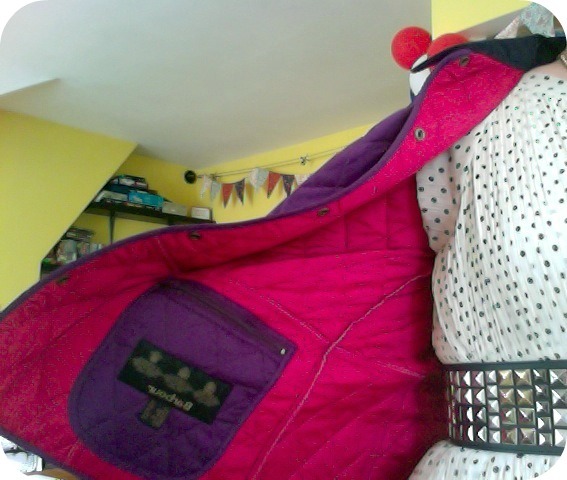 I was having a bad day/It was £30/I wanted a new coat… ? Really satisfied with the purple/pink colour combo, which is even extended to the secret pocket. Feels a bit like I should be riding a pony decked out in Katie Price’s pink horse-gear, but there you go, that’s my taste. 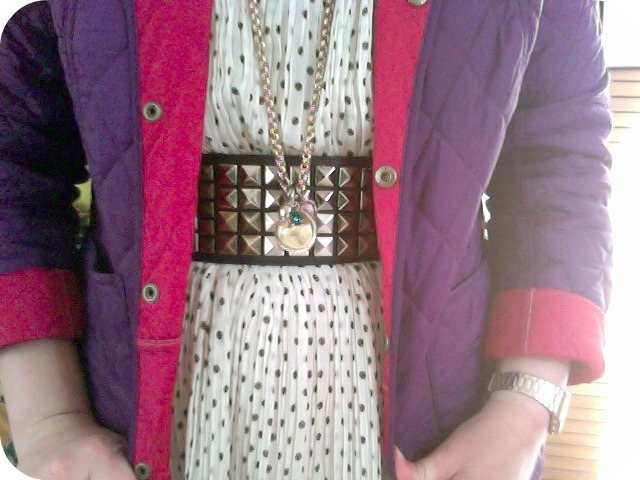 Worn with old faithful H&M dress, old faithful M&S belt and Mawi necklace from Cocosa.